Recovering from alcohol addiction is possible with the help of the right professionals. Get equipped with the information, resources, and support needed to achieve recovery from alcohol addiction. Dial these alcohol addiction hotlines to begin. Delphi Health Group provides round-the-clock alcohol and drug counseling, treatment advice, and treatment services for individuals and families struggling with alcohol dependence. These treatment services are usually covered by insurance. Call the alcohol helpline at (866)-520-2708 to get free and confidential access to these services. The phone number is available around the clock. The National Alliance on Mental Illness (NAMI) – Northern Kentucky provides useful resources and information for achieving sobriety. The alcohol crisis hotline also connects callers in alcohol crises with treatment solutions in the state. (859) 392-1730, Monday through Friday, 10 AM to 2 PM, EST. 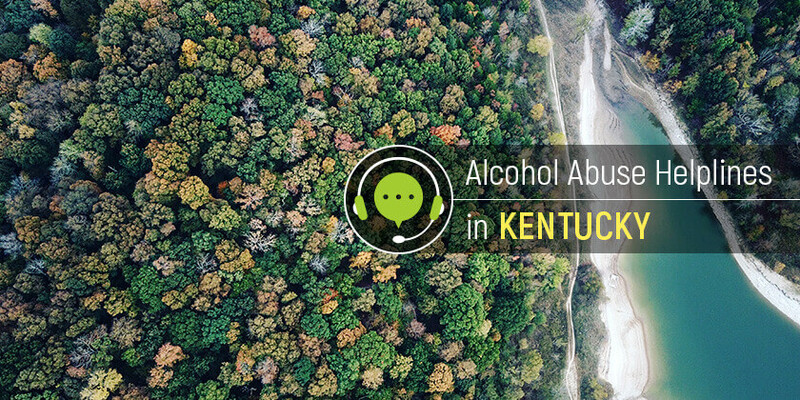 Kentucky state Office of Drug Control Policy offers information and resources about alcohol treatment to individuals and families struggling with alcohol dependence. The Office also connects these callers to public and private treatment services across the state. Call the alcohol hotline free at 1-833-8KY-HELP (1-833-859-4357) to speak with a specialist. Callers can talk to a representative on the helpline Mondays through Fridays, 8:30 AM to 5:30 PM. The residents can also leave a message during non-business hours, and the call center agent will respond during business hours. Kentucky residents with alcohol abuse issues can get help by dialing any of these alcohol helpline numbers today.